An interview today with Dr. Bob Mason, a doctor of chiropractic who specializes in the Webster Technique. He and his wife have a practice in North Carolina where they have helped 92% of breech babies find their way head-down. How did you get started with Webster technique? I have always had a passion for helping children and one of the main components that affects a child’s health is the birthing process. As I began taking classes through the ICPA 12 years ago, I became fascinated with the amount of help chiropractors can provide for both mom and baby. I decided to become Webster Certified since this technique was developed years ago and sets the standard for prenatal chiropractic care. What do you tell people when they come in at the end of pregnancy with a breech baby? Most of the women that I see late in pregnancy with a breech baby are very determined to have a vaginal birth. If I feel like I can help, the biggest advice that I give women is to trust their body and be patient. I believe in “due months” more than “due dates,” and as long as mom and baby are healthy, there are many strategies that create an environment that promotes a vertex position (head down). While most cases require multiple treatments over several weeks, I have seen babies turn head down a few hours after just 1 Chiropractic Adjustment. I have also seen babies turn head down following the 40 week mark when all of the statistics say that it is not probable. What do you do with your pregnant clients throughout pregnancy to maintain balance? Most women that I treat will continue weekly adjustments throughout their pregnancy. I have a series of exercises, stretches and positions that will help maintain balance. I believe in stretches to balance soft tissue, exercises to improve endurance and strength and specific positions to improve fetal positioning. You said that the most common reason people come to your clinic is to get help with breech babies. How do they find you? Can you tell us about your statistics concerning your work with breech patients? So I did not track my statistics for my first four years in practice until one of my patient’s husband asked what percentage of babies turn? I went back and counted those years (85% turned head down) and up to date, 12 years total, we have a 92% success rate. There are many factors that influence a breech position, so I don’t take on patients that I cannot help. I might work with them for other reasons such as pregnancy related back pain or sciatica, but not for breech babies. What have you noticed, working with this population? The biggest thing that I have noticed is that the human body is designed flawlessly and functions optimally as long as there is no interference. My belief in this grows stronger every year when I see people transform their health naturally when they were told that they would have to rely solely on medications and procedures. How did you develop your home protocol for breech? I began having women ask me for advice for friends that live in different areas of the country with a breech baby. Since I am too far away to examine, diagnose or provide recommendations, I created this guide that helps a great majority of breech positions in my office. I typically have patients begin with this guide, but there are many variables that influence it. (Frank position, transverse position, placenta/uterus position/ shape, VBAC, how far along they are into the pregnancy, etc.) I do highly recommend that they see someone that is Webster Certified for a more accurate action plan and talk to their birth provider before implementing these strategies. The main goal of my guide was to introduce women to prenatal wellness including chiropractic and spinning babies. Tell us a little about how chiropractic influences the baby’s position in the first place. The Webster Technique was created to realign the sacrum and balance the surrounding soft tissue in an effort to release torsion on the uterus within the pelvic cavity. The most important thing I try to convey is that chiropractic care works on creating a better environment within the womb and does not treat the baby. So for example, if mom’s sacral alignment changes the shape of her pelvis and gets in the way of the baby’s movement, aligning mom’s sacrum can alter the pelvic cavity’s shape and allow the baby to turn head down. So basically we are removing the interference and allowing the baby to position itself. There are various factors that influence and hinder this outcome including abnormalities of the shape of the uterus, placenta position and a short umbilical cord to name a few. Is there anything else you’d like to share with pregnant families or the people who care for them? Being pregnant is an exciting time and birth is an amazing experience. Enjoy the time and trust that your body knows exactly what to do. 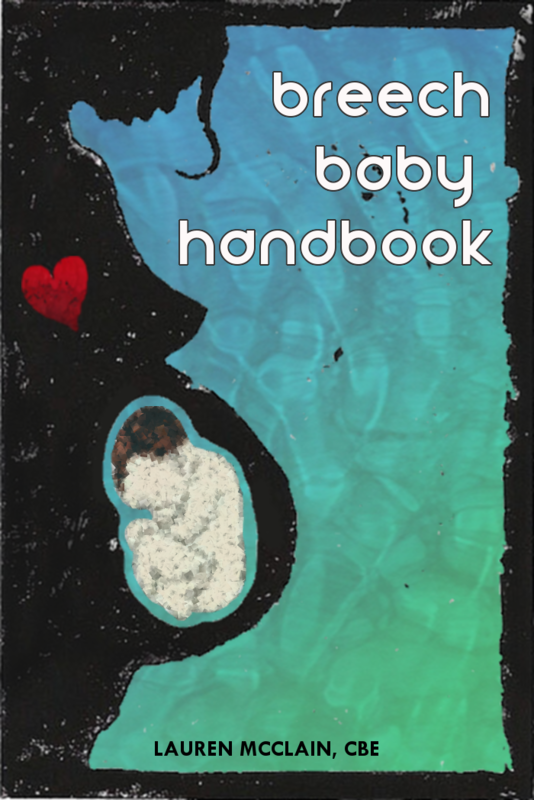 Research the birthing process and learn how to prepare for labor both mentally and physically. 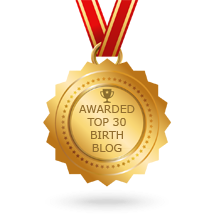 Take the time to learn about different types of births such as natural, breech and home-births. Work with a doula to gain confidence and clarity throughout the duration of your pregnancy. If a problem arises, exhaust all lower invasive options before choosing a C-Section as long as mom and baby are healthy. In addition to chiropractic care, spinning babies and myofasical release, I have had patients supplement acupuncture and prenatal massages too. 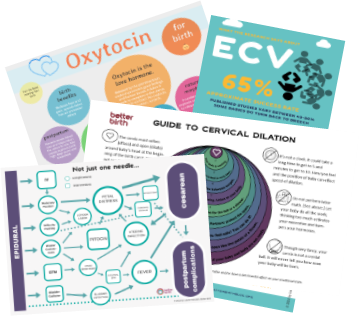 Get a free Guide to Breech handout here!